Update: Motorola won’t be the only manufacturer leaving older devices outdated. LG has just confirmed the original LG G Watch will not be getting updated to Android Wear version 2.0. The LG USA Mobile Twitter account mentions that it’s because it has been discontinued. I mean, it has been over 2 years since the LG G Watch’s launch. We say it is about time to let it go; or you can continue using it with the same software you know and love. Original (June 11, 2016): At Google I/O 2016, Google announced the biggest update to the Android Wear platform since its initial launch. Version 2.0 of the popular wearable OS aims to bring a number of big improvements to the platform, like user interface tweaks, better smart reply options, watch face complications and much, much more. While the big update is only available as a developer preview for now, this is an update that’s definitely worth getting excited about. Well, owners of the original Moto 360, you probably shouldn’t get too excited. Responding to a user on Twitter, Motorola’s Support account revealed that the first-generation Moto 360 will not be getting the Android Wear version 2.0 update. While this may be upsetting news for some users, Motorola likely has a very good reason for this decision. 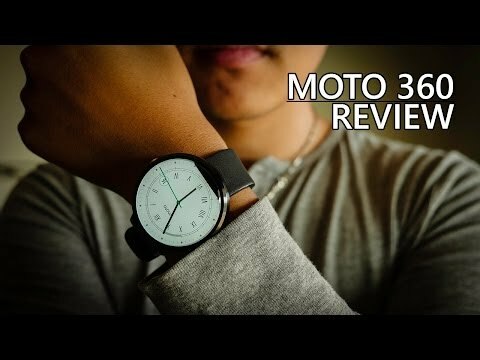 Personally, my first-gen Moto 360 is struggling quite a bit in the performance department, and it’s entirely possible this big update would affect the performance in a negative way. Motorola does clarify, though, that the OG Moto 360 will continue to get “essential patches” as new security issues emerge. How do you feel about the news? Let us know your thoughts in the comments below!